Even though we’ve been majorly slacking off on our ART DAY! representation – you all already should know how we feel about art. Right? Just checking. That being said, this project by Jason de Caires Taylor was lifted from the pages of Modern Design – a European freeware mag in which MNP was recently featured. 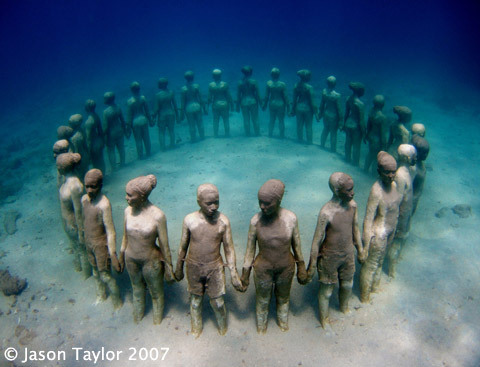 Words cannot describe how beautiful and absolutely haunting these statues are. The most astute and learned of our readers will even notice the allusion to Mt. Vesuvius tossed in there for fun. The best thing about these sculptures is that they are there to help produce a natural (naturally man made, anyway) reef for all the pretty fishies. Preserving the ecosystem is paramount for Taylor, and the big draw for artificial reef is that it alleviates pressure from the naturally occurring and rapidly disappearing counterparts. 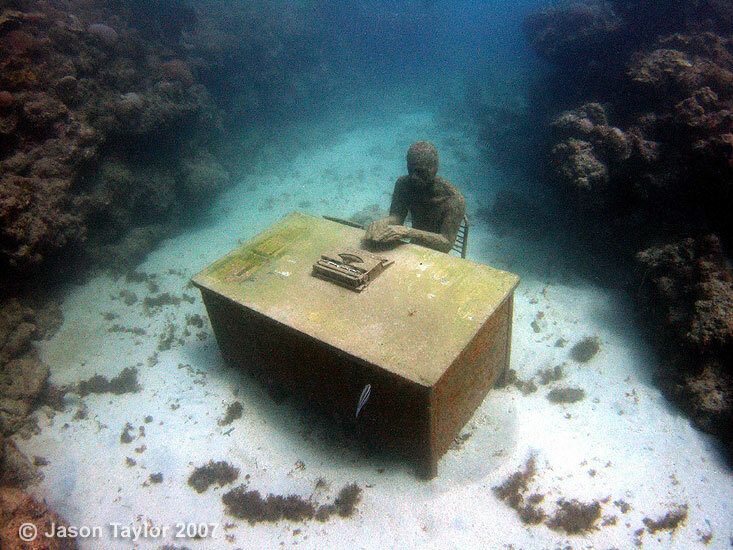 This project is also a study of and a metaphor for “change over time.” As our original source says, Jason’s sculptures gradually give way to their sea environments, changing, changing and changing, and likely even disappearing over time – all to promote ocean awareness. 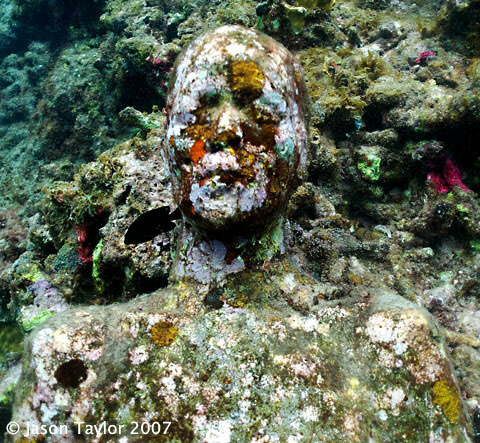 These sculptures are visitable by glass-bottomed boat and/or underwater scuba tour.